Published: November 28, 2018 17:02 Pratyush Sarup, Special to tabloid! One of my highlights at Downtown Design are the regional brands, designers, collectives and studios on show. Their presence gives a clear indication on the fair’s impact on the local design scene; after all, as the region’s pre-eminent design fair, it should feed back into the region’s creative industries and support the aspirations of our talent. Not only did the fair's 2018 edition present its largest showcase of creatives from the GCC and the wider Gulf, it sprang impressive figures. In addition to brand launches, such as Layth Mahdi, the debut of new collections by established regional designers such as Aljoud Lootah, Fadi Sarieddine and Omar Nakkash among others, and the unveiling of Dubai Design District’s ‘Design 100’ competition winners, a majority of the regional design was authored by female designers. Alongside, a progressive creative vocabulary for design that is made in the Middle East emerged. Promising as it is, the ultimate maturity of the regional design scene rests on quality, visibility and commercial success. So next time you are in the market for exception design, invest in the Made in the Middle East label. Based in Riyadh, Saudi Arabia, Rejo Design Studio was founded in 2014 by architects Reem Olyan and Jumana Qasem. 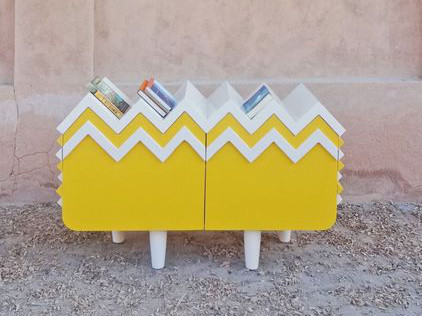 The duo followed their passion for product design, creating unique and bold pieces inspired by their vision to bring art into every home. They have a strong belief that “design is all about well-being” and work to create timeless and recognisable pieces that are inspired by Yemen, India, and Ndebele. Winner of the Harper’s Bazaar Interiors Awards 2018 in the Best Emerging Designer category, Mahdi founded his eponymous brand intending to explore the relationship between the beauty of materials and the intricate and precise processes of advanced production and digital fabrication methods. Layth’s products are generated by algorithms and produced by robots which he has created himself, utilising his knowledge of robotics to bridge the gap between art, science and technology. Emirati multidisciplinary studio D04 works to produce designs that are niche and unique, utilising indigenous elements and concepts to achieve progressive modern designs. Founded by Fatima Al Zaabi and Noora Al Awar, the studio works on projects in architecture, interior, installation and product design. One of their latest works, the Thari table that was developed in collaboration with Mahdi is quite the statement piece. 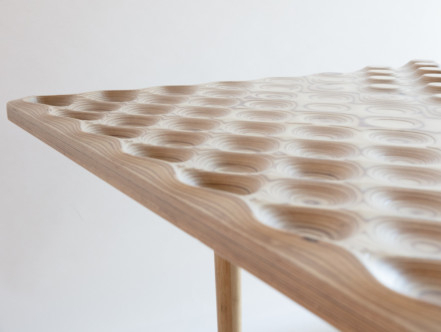 The ripples in the table top were achieved by sandblasting the wood into a fluid surface with ebbs and crests. Founded by the Saccal sisters — Nour and Maysa — in 2014 in Beirut Lebanon, Saccal Design House provides interior design and architecture services along with product design through which they aim to explore design in different mediums. Largely handmade in Lebanon, their products are created using various experimental techniques and a mix of materials. 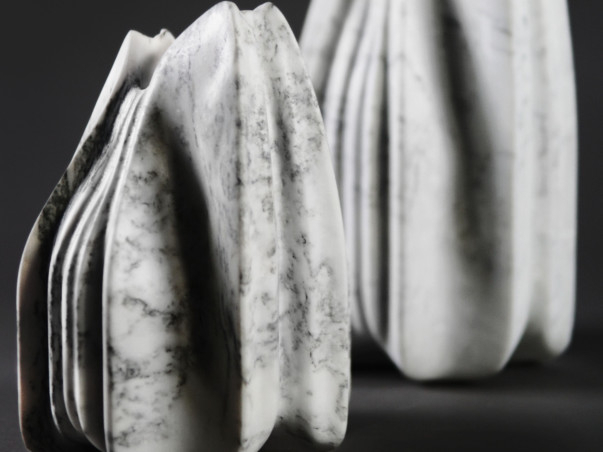 Among their new collection of furniture and accessories, Pockets, a family of vases is most exemplary of how the duo tap on their experience and surroundings to create contemporary design. 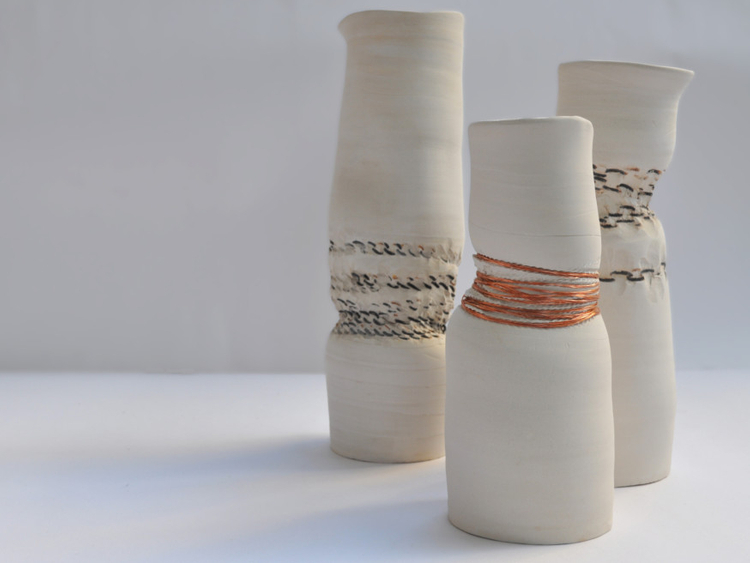 Emirati Porcelain designer and craftswoman Shaikha Hind Bint Majed Al Qasimi pays homage to the Emirati desert, its dunes and mesmerising beauty through her collection ‘Nabata’. Meaning growth in Arabic, the handmade, limited edition collection of perfume bottles are one of a kind. 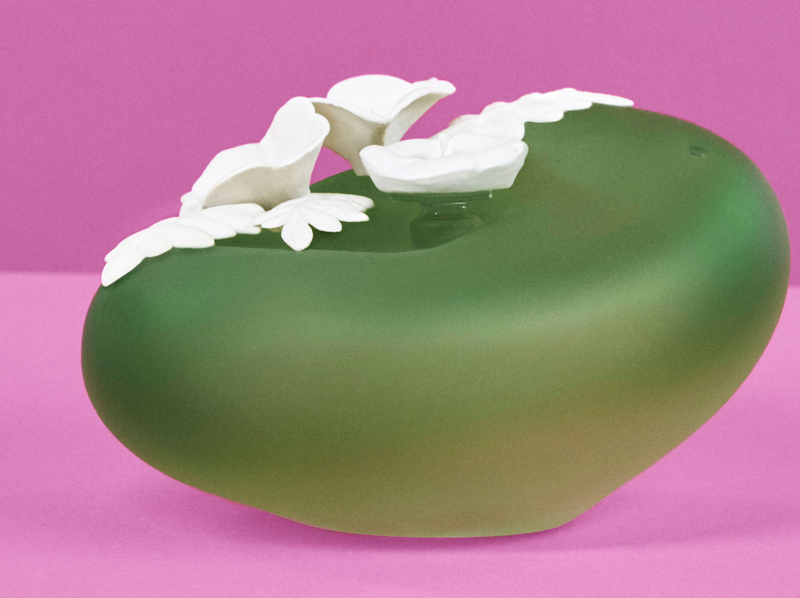 Created in collaboration with Samer Yamani and made of hand-blown glass, each bottle is adorned with ornamentations made of Limoges porcelain and inspired by three delicate flowers found in the desert. An inventive creative realm, the Foundry welcomes a community of design researchers to collaborate, interact and create. In addition, their digital platform unveils a range of experimental expressions & items conceived by artists, designers, writers, creative and associates of TINKAH. 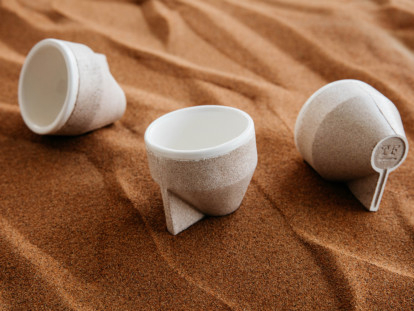 Dedicated to defy the monotony of mechanic processing, their new collection of cups features their new innovation, Ramel: a composite material that allows regular Dubai desert sand to be castable using ceramic slip casting techniques.